Ok, if you can look past my anthropomorphic statement that wildlife make decisions, the topic I would like to address deals with the adoption and use of ecological principles by the design community. 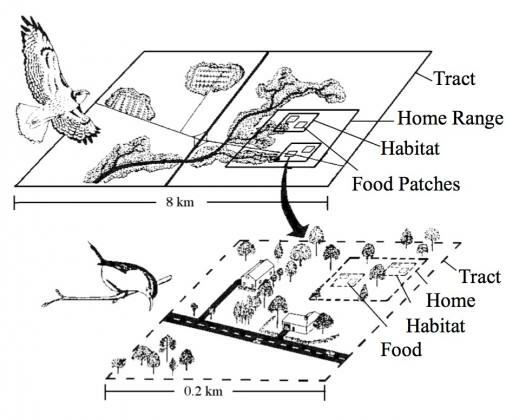 Patch size, landscape connectivity, edge effects, corridor ecology, landscape ecology, and metapopulation theory are just a few terms and ideas put forward by researchers to address the biological integrity of wildlife populations. 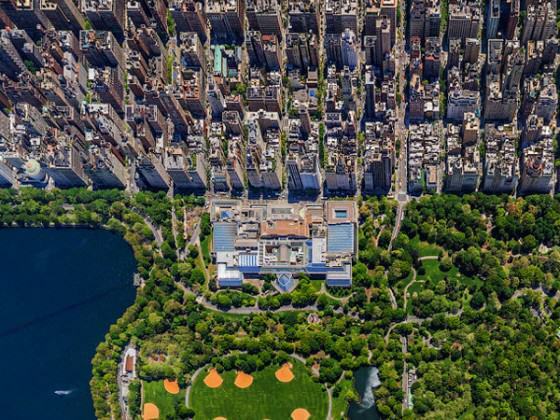 Often, planners, landscape architects, engineers, architects and other built environment professionals adopt these ecological principles into their designs of regions, cities, and individual developments. But do these designs function as originally intended? A common application of ecological principles into urban/rural design is the establishment of natural to semi-natural patches (or remnants) of areas that would serve as habitat for wildlife. This design application begs the question, “For which wildlife species?” In many (of my) dealings with design firms and city/county departments, this rarely is addressed. For the most part, people look at a land use/cover map and try to conserve as many of patches as possible, without much thought about wildlife species in the area or those migrating through. While conserving any remnant patches is a laudable goal, in many instances the amount of patches, in terms of actual area, that a developer will conserve is limited. Thus, it is critical to select the patches that “give the most bang for the buck.” An ecologist would select those patches that benefit local species or improve species richness, depending on the original goals and what the site can offer. Selecting the “best” patches can benefit a variety of species, but it depends on the scale of the design and those species that respond to the geometry of the landscape at that scale. Animals locate themselves based (for the most part) on the spatial geometry of landscape structure across a region. However, smaller animals have a very different view of the landscape than larger animals. 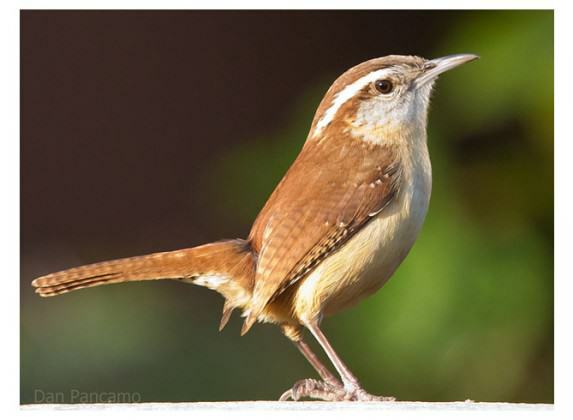 Imagine a Carolina Wren (Thryothorus ludovicianus) and a Red-tailed Hawk (Buteo jamaicensis) flying over a neighborhood (the images that follow). Both birds are responding to landscape structure within cities that attracts them to one area versus another. The smaller Carolina Wren and the larger Red-tailed Hawk respond to landscape structure across a range of scales, but the range of scales are different between the two species. “Scale” essentially means the size of an area (e.g., 1 hectare, 5 hectare, 20 hectare, etc.). When a bird “responds to” an area, it is attracted to that area based on spatial objects within it. “Spatial objects” are the actual structures (such as trees, bushes, fields) within a given area that an animal uses to fulfill daily food, cover, and water needs. The scales at which wildlife respond to spatial objects are an important part of habitat selection. Let’s take a theoretical representation of a Carolina Wren and a Red-tailed Hawk responding to spatial objects as they search for habitat (the drawing below)). The wren searches a tract of land to establish a home range. At the next scale, the wren searches its home range for suitable habitat patches for nesting or foraging for food. Then, within these habitat patches, the wren locates food patches where food items (e.g., insects) are abundant. This is the smallest scale in which the wren searches for food. The hawk has a similar set of decisions, but it selects much larger areas and objects at each comparable scale. Notice that the only overlap in scales is at the food patch level for the hawk and at the tract level for the wren. Scale-dependent decisions of a Red-tailed hawk and a Carolina Wren. Illustration by Rebekah McClean. Different wildlife species respond to different objects within a landscape. 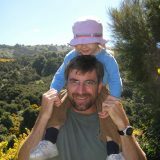 The type of object a species prefers is dependent on its natural history: what it eats, what it needs for nesting, etc. For example, one wildlife species could prefer tree patches. Another species prefers flowering plants. Others prefer woods along streams (riparian habitat). Some prefer natural, open fields. Some even prefer the actual homes (buildings) and others prefer lawns. In addition, the size of these spatial objects is important too. Different species may respond to different sizes of a particular object in the landscape. Let’s say two species like open areas (e.g., lawn). One species, such as a robin, may be attracted to a front yard. 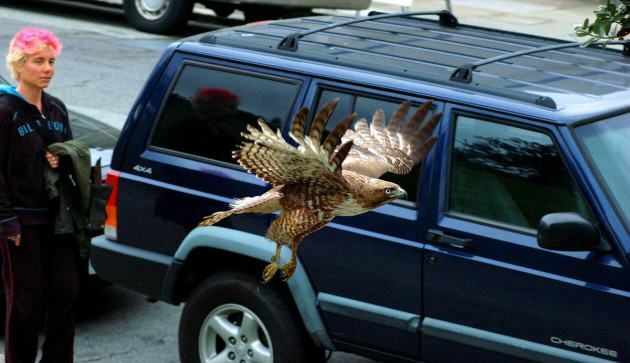 Another species, say a hawk, may prefer large expanses of lawn (e.g., golf courses). They both respond to lawn. However, the area of lawn is much bigger on a golf course than a front yard. In addition, during different periods of an animal’s life, it may have different requirements for food, water, cover, and space. 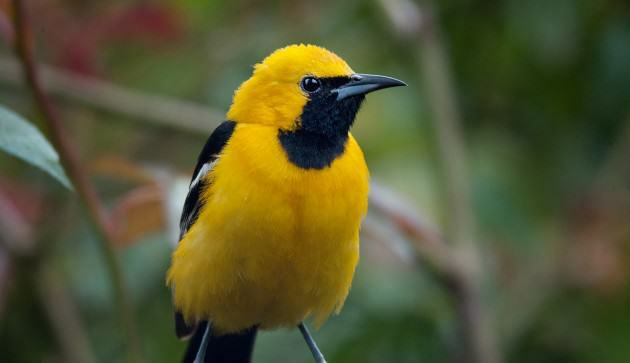 For example, birds may have vastly different requirements when breeding than when they are migrating or wintering in an area. Some bird species only nest in large expanses of wooded areas to keep their nests hidden from predators while primarily catching insects to feed their young. 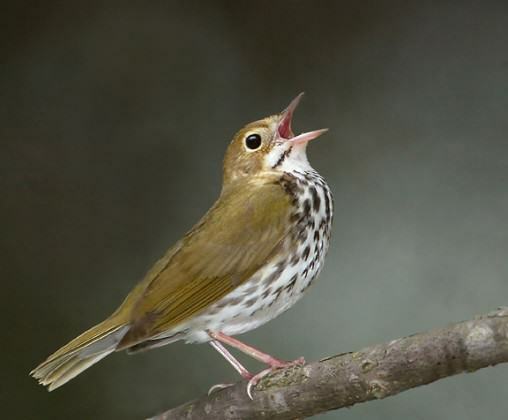 However, outside the breeding season, these same birds can be found in small patches of forest feeding on a variety of food items including fruits and seeds (e.g., Ovenbird, Seiurus aurocapillus). After the breeding season, many young animals disperse from their natal site looking for new areas that provide food and shelter. For animals that are dispersing, many urban sites that may not be appropriate for breeding could serve as ‘dispersal sites’ where animals can feed and rest when searching for new habitat. These dispersal sites can serve as corridors that help animals move from one habitat to the next. In addition, urban sites can serve as “stopover sites” for birds that are looking for food and shelter along their migration route. Radars around cities have detected massive amounts of birds flying at night in and around cities. Urban areas can also serve as wintering sites for animals that normally breed outside of urban areas. In summary, a particular patch can serve as habitat for animals during different times of the year. A patch of woods, for example, may be a breeding area for some animals while at other times of the year it may serve as a stopover site or wintering site. 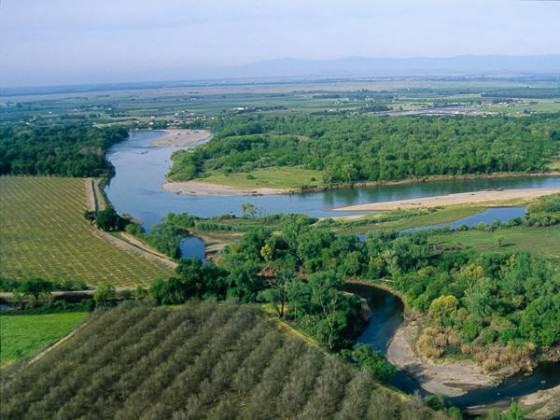 In many cases, the property may serve primarily as a ‘connector’ between natural areas — an important role to permit the movement of animals. In design studios and planning conversations that I have had, I frequently make the argument that larger, circular patches are better than irregular-shaped patches. This is because “specialist” species are more vulnerable to edge effects than “generalist” species. Generalists are species that will eat a variety of items and live in a variety of habitats. Generalists can adapt to new food sources and changing landscapes. Think about house sparrows (Passer domesticus) and European starlings (Sturnus vulgaris). These exotic birds are found throughout many countries and are outside their natural range in Europe, but they are doing quite well in urban and agricultural areas. Specialists, on the other hand, are much more specialized or particular in their food and shelter requirements. They will sometimes only eat a few types of food and live in only one type of habitat. They do not adapt well to changes in their preferred habitat and will go extinct locally (i.e. extirpated) when their habitat changes. Most species that are listed on the U.S. endangered and threatened species list are examples of specialists. Specialists are most vulnerable to edges. Specialists living in habitat edges tend to encounter higher levels of predation, damage stemming from human disturbances, and increased competition from other species; thus they tend to avoid edges. Specialists typically do not do well in fragmented areas consisting of relatively small, remnant patches. In fragmented areas, small natural remnants are not buffered enough against human disturbances and are more exposed to traffic, noise, and artificial lights. How far the edge effects extend into a patch is variable and depends on the species in question, the type of disturbance, and the types of vegetation found along an edge. It can extend hundreds of meters into a patch even for small birds; for example, Varied Thrushes (Ixoreusn aeviu) had lower relative densities up to 140 meters into a patch than in areas further than 140 meters from the edge. I have heard from many landscape architects that they think edges are good because they increase biodiversity. Well, yes and no. It depends on the situation. Yes, in most instances having lots of edges tend to increase the diversity of species, but the increase is due to the increase in generalists and exotic species that are more adapted to edges and urban conditions. Thus, in reality, having lots of edges favors generalists that are doing well anyway in a region and conservationists are more concerned about impact of urban areas on specialists. Another common application of ecological principles in urban/rural design is the establishment of corridors for wildlife. Corridors are placed to connect patches within a development or outside of the development. The idea is to promote movement of wildlife species across the landscape. Again, this application begs the question, “For which wildlife species?” However, rarely is this addressed during discussions. As discussed above, scale matters, even for connectivity. How wide is wide enough? A corridor needed for a bear is much wider than what is needed for a mouse. 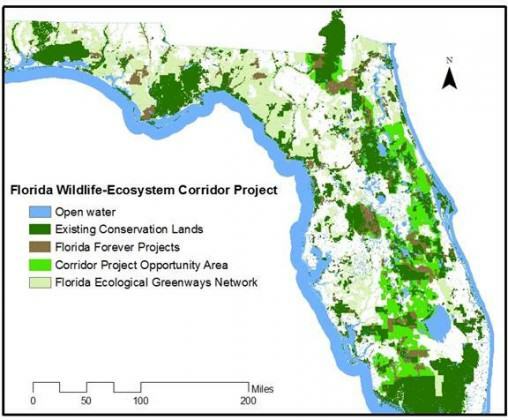 For wildlife, corridors can serve two purposes. First, connections allow animals to reach diverse habitats within their home ranges; and second, at a broader scale, connections permit occasional movements between somewhat isolated populations of wildlife (i.e., metapopulation theory). But are we talking about movement of panthers or insects? For those that are edge-avoiders (e.g., many specialists species), a corridor may not act as a conduit if it is narrow and mostly edge. In some countries, linear corridors are not really needed, but “stepping stones” of vegetative patches could act as corridors. For example, New Zealand is devoid of native, terrestrial mammals (save a few endangered bats); ecologists talk more in terms of “stepping stones” of restored and remnant native vegetation to help improve the spread of native, animals across a landscape. Any natural connection, no matter how small can benefit certain species (think insects, toads, and salamanders). But before a design is made (and space for development given up), a thorough understanding of local, regional, and migrating species (and their habitat/dispersal needs) should be acknowledged and addressed by the designers. What does all this mean when making planning/design decisions? From the discussion above, one might conclude that only large, connected patches of vegetation are worth saving in a design. However, if you reduce the scale of your thinking, any natural patch can benefit biodiversity and animal species, no matter how small and isolated. While such patches may have limited appeal for some of the larger animals and the specialists, they may still serve as habitat for smaller species such as lizards, frogs, and insects. They could also serve as temporary refuge for migrating animals (e.g., stopover sites for migrating birds). Not to mention plant diversity as well and the multitude of soil biota that occur in small, conserved remnants! But if one is considering large patches, and large corridors, for relatively larger animals, a discussion must ensue about which species these patches would likely benefit. Policies that impact land use maps (generally at broader scales) and policies that address land development regulations (i.e., policies that operate on landscape structure at smaller scales) should be considered in the context how they affect large to small species. 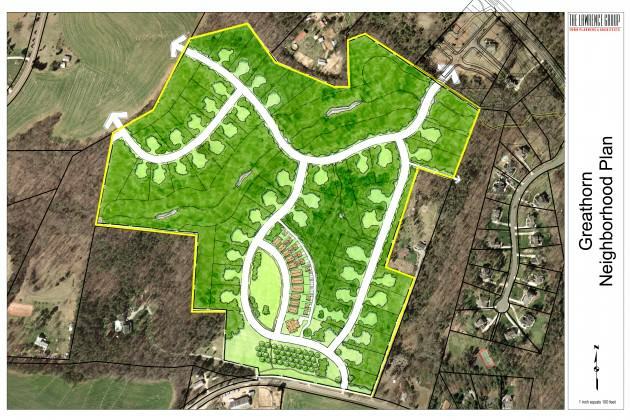 Master site plan for The Woodlands at Davidson, North Carolina, which contains a wildlife corridor down the middle. Courtesy of the Lawrence Group. Overall, such discussions will help make transparent the wildlife benefits of a development design at both small and large scales. 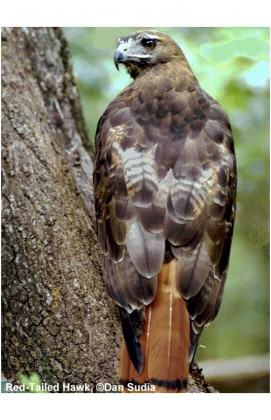 For example, that Red-tailed hawk appearing in a backyard is contingent on individual lot designs (e.g., leaving those large snags or trees for nesting), available habitat in a neighborhood (e.g., land development regulations that addressed conserving remnants and using native plants in landscaping), and city land use maps (i.e., plans that address the juxtaposition of open space and built areas). There is a direct connection between the design decisions made at different scales and the distribution of wildlife species within a region! 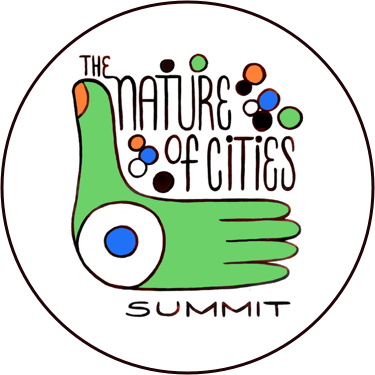 Currently, there is a Roundtable discussion this month – “Should programs in architecture, urban design, and landscape architecture require a certain minimum level of learning about the fundamentals of ecology? Why?” My two cents should be apparent, a resounding YES! ; programs in architecture, urban design, and landscape architecture should require a minimum of learning about the fundamentals of ecology. Why? Because I think (not to step on anybody’s toes, there are many good exceptions) these fields tend to focus on the design towards aesthetics and the use of ecological principles in a project design tend to be tepid. In general, long-term functionality of conserved patches and corridors are not addressed in most individual development and city designs. As I have mentioned in my other blogs, design is important BUT IT IS ONLY THE FIRST STEP. What goes on around conserved patches and corridors, such as nearby land uses, can have heavy impacts and prevent wildlife from utilizing these habitats. Think of invasive exotic plants spreading into remnants and corridors, fertilizers running off properties and entering wetlands, and nearby residents illegally using these natural areas for all-terrain-vehicles. The management of these patches and corridors are just as critical, even more so when situated near urban dwellings. Funds are needed to do prescribed burns, trash pick-up, invasive exotic control, and other management practices. Urban patches can attract a variety of wildlife, if they are managed appropriately. Good design is not enough, it must be combined with good management. Further, residents must be engaged as they are (by default) the long-term stewards of the conserved areas. Part of a design project could include education and engagement programs that include the installation of educational kiosks that help inform residents about the importance of managing their own homes, yards, and neighborhoods in an ecologically sensitive manner. Thus projects that could contain natural patches and corridors for wildlife, design professionals should be trained about long-term management options for their designs. Nearby built infrastructure should be designed with the idea of limiting impacts on natural areas — for example, limiting the amount of lawn and incorporating more native plants into a landscape would minimize impacts. The context and site conditions for each development will dictate the optimal design. Perhaps, for instance, it may behoove one to fill in wetlands in order to conserve larger patches. WHAT? I can hear the protests now. However, filling in wetlands may work to avoid this scenario: if all, small wetlands were conserved, then a more fragmented landscape containing wetlands and conserved upland areas would be surrounded by built landscapes and prone to daily impact by nearby homes and streets. Designating larger conserved areas, separated as much as possible from built areas, would make management of the conserved areas easier, and such a design helps buffer against impacts stemming from built areas, in part by reducing the edge effects discussed above. Each site is different and opportunities exist at different scales to benefit local, regional, and even global species. Collaborations between ecologists and built environment professionals can help to create “doable” wildlife conservation goals for a site, whether it is focused on specific species or general biodiversity conservation. Such collaborations will result in optimal designs for wildlife conservation However, we must put management on the same pedestal as design. Successful projects will only come about when “optimal” ecological design is combined with “best” ecological management practices. Think of invasive exotic plants spreading into remnants and corridors, fertilizers running off properties and entering wetlands, and nearby residents illegally using these natural areas for all-terrain-vehicles. The management of these patches and corridors are just as critical, even more so when situated near urban dwellings. Thanks for this insightful article. Architects like edges as they define the boundary of their creative influence. This is what I call their ‘creative bubble’. Another metaphor might be a frame around a painting. Your thoughts will contribute to understanding how architecture can contribute to the broader landscape and in so doing expand their bubble. Good article, aptly revealing the complexity of the subject. However, I was dismayed to not see urban planners (as distinct from urban designers) included among the professionals who should receive some education on ecology. 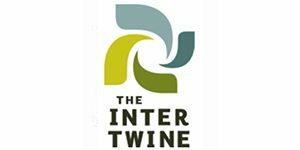 There are many of us in the planning profession who feel ecology needs to be more integrated into our methods and principles, so please be sure not to exclude us as an interested and relevant partner in this type of effort. Thanks Marion. Yes, but we also need the public and government with the purse strings to push built environment professionals in the right direction. I am convinced that local demonstration projects are the way to go. Thanks Mark for a great article, “Collaborations between ecologists and built environment professionals” for subdivision development is a no-brainer.